What is run to failure maintenance (RTF)? The simplest maintenance strategy is to execute run to failure maintenance (also known as “run to fail”). In this strategy, assets are deliberately allowed to operate until they break down, at which point reactive maintenance is performed. No maintenance, including preventive maintenance, is performed on the asset up until the failure event. However, a plan is in place for ahead of the failure, so that the asset can be fixed without causing any production issues. Under the run to fail method, it is important to have spare parts and staff on hand to replace the failed part and to maintain equipment availability. This strategy should not be confused with reactive maintenance, because of the active plan to allow the asset to run to failure. This strategy is useful for assets that, on breakdown, pose no safety risks and have minimal effect on production. 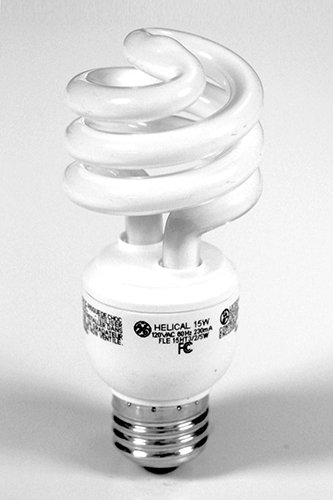 A common example of run to failure maintenance is the maintenance plan for a general-purpose light bulb. The bulb is allowed to run until it fails. At this time, the plan to fix the asset is carried out. A new light bulb is obtained from stocks and replaced at a convenient time. Minimal planning – Since maintenance does not need to be scheduled in advance, the planning requirements are very low. Maintenance only needs to happen after breakdown has occurred. Easy to understand – Because of the plan’s simplicity, this system is easy to understand and implement. Unpredictable – Because most asset failures are unpredictable, it is difficult to anticipate when manpower and parts will be needed for repairs. Inconsistent – The intermittent nature of failures means efficient planning of staff and resources can be difficult. Costly – All costs associated with this strategy need to be considered when it is implemented. These costs include production costs and breakdown costs, in addition to direct parts and labour costs associated with performing the maintenance. Inventory costs – The maintenance team needs to hold spare parts in inventory, to accommodate for intermittent failures. Unplanned, reactive maintenance is the only type of maintenance task used for the run to failure maintenance strategy. Asset breakdown is the only trigger used in the run to failure maintenance strategy. If the asset is not working, then maintenance is required. Run to failure maintenance makes sense when the total cost of repairing equipment after breakdown is less than the cost of performing other types of maintenance on the equipment beforehand. For example, let’s say that you have a machine that’s involved in a continuous, 24/7 production process. Shutting it down for monthly maintenance would stop production and create the same disruption as if you had just let it break down (which might happen 1 time a year). In this case, it makes sense to simply repair it when it breaks. Run to fail maintenance requires an understanding of how a machine might break and what the consequences of breakdown are. Run to failure would also be more appropriate for redundant, or non-critical assets (i.e. when you have 40 trucks and 1 rock crusher in a mine, run to failure maintenance might make sense for the trucks but not for the crusher). Run to failure maintenance is unsuitable for applications where equipment failure creates a safety risk (oil pipes bursting) or where equipment availability is necessary (a bakery where each hour of downtime costs many thousands of dollars). It is also undesirable for assets where total maintenance costs would be reduced with a more proactive approach to maintenance such as preventive or predictive maintenance strategies. Run to failure maintenance may be implemented using many maintenance methods. This strategy can be adequately managed from memory. Other tools can also be used, including paper-based systems, spreadsheets, CMMS and EAM systems. If an entire facility is working on a run to failure strategy (such as a small home office), then CMMS and EAM systems will provide much more functionality than required. For facilities where run to failure is used for some assets and more complex strategies are used for other assets, the CMMS and EAM will allow these different types of maintenance strategies to happen simultaneously. A CMMS can also be useful to track the number of times the asset has been repaired or replaced and associated costs. A good run to failure maintenance strategy will likely require an inventory management tool because of the large number of spares that may be needed for breakdowns.